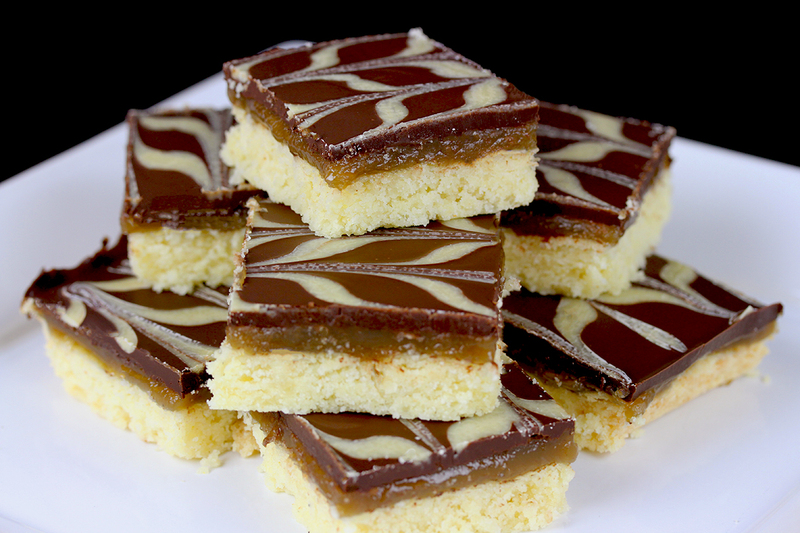 As I’m a big fan of caramel and shortbread, I really like Millionaire’s Shortbread. What I do not like too much is cooking caramel, but believe me: it’s absolutely worth it in this case!!! 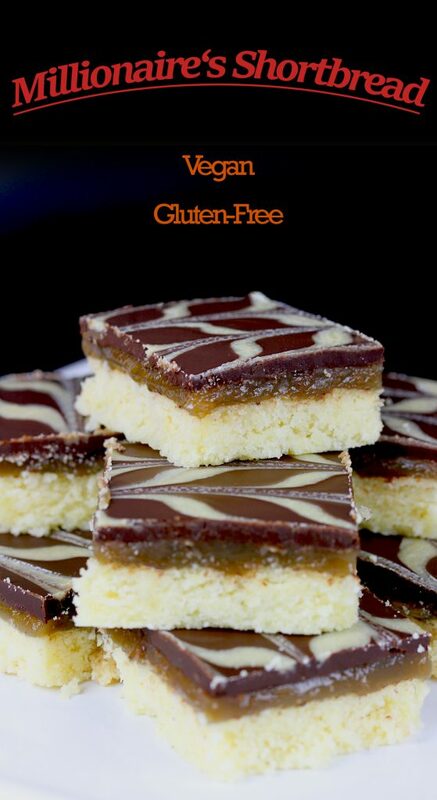 The base is a normal, vegan, gluten-free shortbread, with a bit less sugar in it, since the caramel layer is really sweet. Use your preferred gluten-free all-purpose flour or make your own mix. Details on the mix I used can be found in the recipe notes. I made the caramel layer with soy milk. Most vegan caramel recipes “out there” use coconut milk. However, I’m allergic to coconut, so I used soy milk and it worked perfectly well. My caramel layer was absolutely lovely, very creamy and sweet, but not too sweet – just how I like it ;). It takes a while to cook and you need to watch and stir it permanently while cooking to prevent it from burning or boiling over, but, as I said, it’s really worth it! Some people put some glass marbles into the saucepan for stirring the mixture and some baking soda to prevent the mixture boiling over – you may try this if you want. 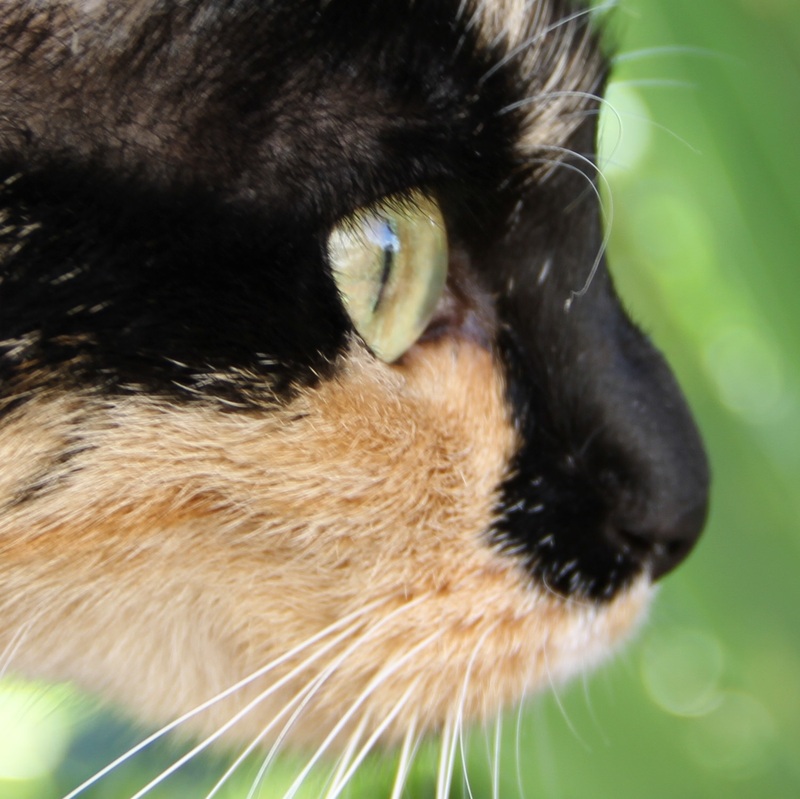 I know that baking soda might help a little bit (but don’t rely on it) … I haven’t tried the marbles, though, as I’m too afraid of putting marbles into my food ;). For the chocolate layer, you can use dark vegan chocolate only. You may also substitute part (or all) of the dark chocolate by vegan white chocolate to make it look more interesting. I used 125 g dark and 25 g white chocolate. 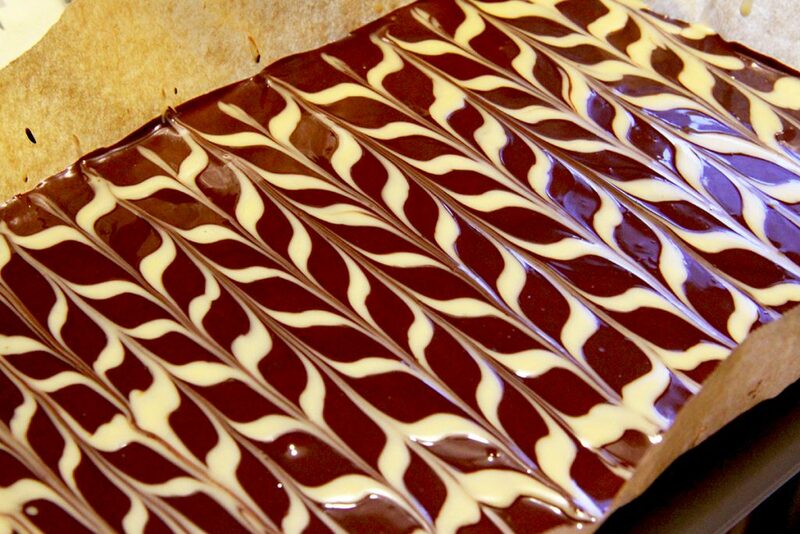 You may add some oil to the melted chocolate to be able to slice the shortbread more easily once cooled. Alternatively, you can slice it with a hot knife. 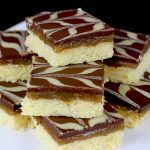 Personally, I prefer to cut the shortbread into squares when the chocolate layer is still a bit warm and soft. In this way, you get perfect edges and the chocolate is still nice, shiny and firm and breaks with a snap when you bite into it, if you have tempered it correctly. Preheat oven to 375°F (190°C) and line a 9-inch square pan (or similar) with parchment paper. Mix the flour, cold butter, sugar and salt until well combined and the mixture resembles fine breadcrumbs. Pour the flour-mix into the prepared pan and press firmly into an even layer. Pierce dough all over with a fork and bake for about 20 minutes, until golden. Set aside to cool. For the topping, heat the butter, sugar and soy milk in a saucepan. Stirring frequently, bring the mixture to a boil and let simmer for about 30-60 minutes until the caramel is thick and golden brown. Optional: Add vanilla and/or salt to taste. Pour the caramel over the shortbread and let cool completely. Melt the chocolate in a bowl set over a pan of simmering water (ensure that the bottom of the bowl does not touch the water). Stir occasionally. Pour the chocolate over the caramel layer, spread evenly and set aside to cool. Cut the shortbread into squares and serve.